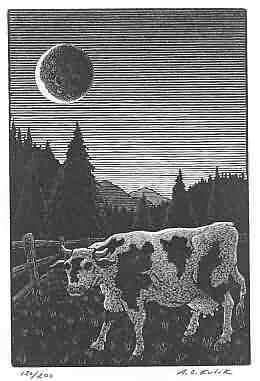 Yes a cow and the moon, but at least not jumping. Primarily another moon study and one of my best! Printed in an edition of 200. Image size 4"x6". Mat size 9"x12"